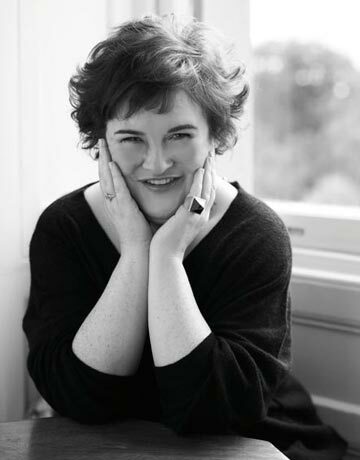 Susan Boyle’s third disc dropped this week. If I followed my mother’s advice to avoid saying anything if I didn’t have anything nice to say, I would stop my review right here. But what fun is that? On Someone to Watch Over Me, fans might question who is watching over their heroine nowadays. The disc is awash in syrup, and her vocals sound phoned in on most songs. Boyle takes on Depeche Mode’s electro-disco classic “Enjoy the Silence” by slowing down the heartbeat and over-emoting the words to create perhaps the worst cover version of a song ever committed to tape. Guinness secret revealed: Why do bubbles go down instead of up? There are a couple of bright spots. When Boyle takes on Join Mitchell’s “Both Sides Now,” she is clearly in her element. There’s a soft, introspective story that builds into a crescendo that puts this lioness’s roar to the test. You would hope she would rise to the occasion on The Righteous Brothers’ “Unchained Melody,” but like most of Someone to Watch Over Me, her interpretation sounds dreary and uninspired. Writing something bad about Boyle makes you feel inhumane, like killing off animals that have been housed at a shelter for too long. The exuberance the audience feels when they first discovered her voice on Britain’s Got Talent, the rags to riches story, the effervescent personality that bubbles during interviews and that megawatt smile all factor into a feeling of wanting to have this chanteuse win at this late stage career rise. She’s spunky and fun in the public eye, and I am hoping someone watches over her and encourages her to inject some of that next time she enters into a studio.